Studies have shown that a broader color spectrum grow light will perform much better than a lamp only with high lumen output. LED’s are supposed to target spectrum which plants need. 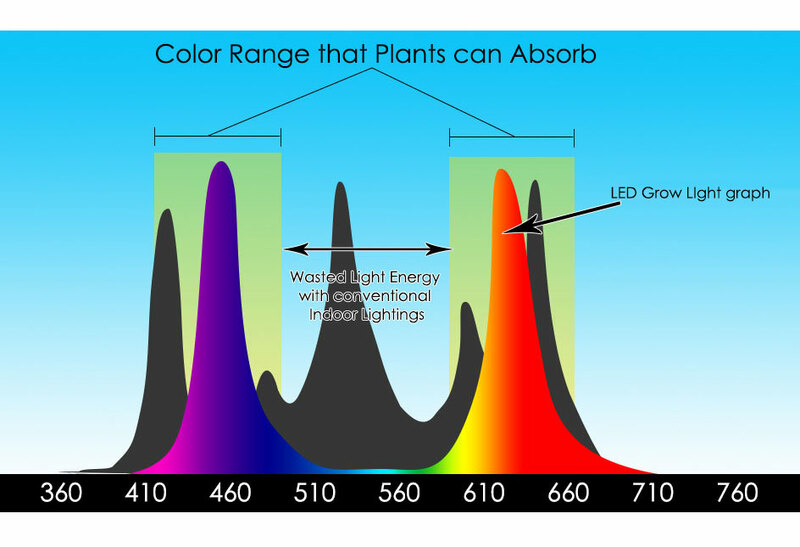 The optimized grow light spectrum most favorable for plant growth (range: 450-475nm (blue) and 625-660nm (red) wavelengths). Full Spectrum LED is great for all stages of plant growth, especially the vegetative and flowering stage. LED Grow light can be used as a primary lighting or as a supplemental lighting source at side or dark areas in an indoor grow room environment.